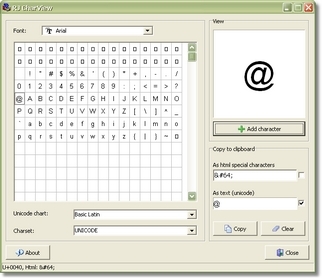 A font character viewer capable of showing Unicode characters even on Windows 98. It can display ranges above 0xFFFF as well. 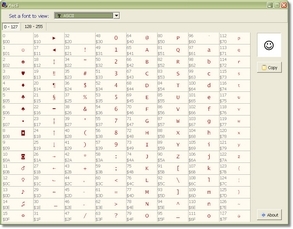 Also, it shows some common code pages and lets you copy the characters as text (Unicode) or as html special characters. Full source is available. 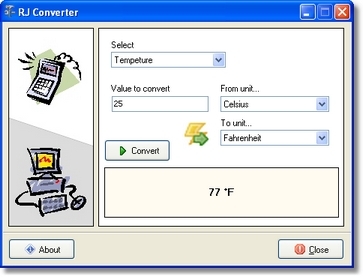 This is a simple unit converter that was originally written in c++ but later converted to Delphi. The old RJ CharView program. It will only display the current ASCII/ANSI table and let you copy a character to the clipboard.